All official regulations and procedures aside, the Uzbek National Bank arrogantly ignores its own commitments to customers whose rights are systematically encroached on. Tashkent sources report that delays with distribution of the finances transacted to private bank accounts began in early December and continue even now. Informed that money has been transacted, customer is supposed to immediately report to the bank's Central Office in Tashkent where he is referred to Room 27. A group of officials is already waiting there, to get all data on the transmitter (organization or individual) they can. Customer is also expected to provide papers showing existence of certain mutual commitments between him and the transmitter and proving that the transaction does not constitute a grant from foreign organizations. Interrogation is applied to absolutely everyone including correspondents of world-famous news agencies like France Press and RIA-Novosti. No use trying to tell the officials that the matter concerns news agencies operating throughout the world and not to any charity organization. The National Bank demands from its customers a number of documents and a written and signed application for the permit to get the sum from his bank account. This latter must inevitably include elaborate explanations of the nature of the sum (salary as opposed to a grant). Customer is also expected to provide a Xerox of his passport. All these documents are forwarded elsewhere and "if everything is all right, you'll be able to get the money in a couple of days," officials in Room 27 say. Who these decision-makers elsewhere are is anybody's guess. Ditto why the procedure was established in the first place and why the bank wouldn't explain its necessity to customers. In the meantime, the National Bank is supposed to honor its commitments to customers faithfully and without undue delays. Commitments in question include a guarantee of confidentiality concerning financial operations and the state of the bank account, and availability of finances to customer on request. Needless to say, absence of information on who a Voitov is and why it is necessary for customer to appeal to him for permission to use the customer's own bank account (crowned with the necessity of a Xerox of the passport and cheque-book) disturbs customers greatly and makes them question the bank's integrity. Control over financial operations in Uzbekistan tightened in late 2007. Insiders claim that the government itself issued the order to "suspend" bank accounts of the Uzbeks to which money is transacted from abroad "pending clarification of data on the transmitter". After condemning reports on this practice in foreign media outlets, the Uzbek National Bank's PR Department issued a vehement denouncement earlier this month. "The information posted in Internet might be appraised as an attempt to destabilize the market of transactions and have its part go underground. 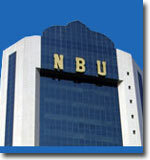 There must be forces and circles somewhere irked by the transparency and expediency Uzbek banks operate with," it stated. Independent sources in the meantime keep reporting that finances transacted to citizens of Uzbekistan from abroad are in the focus of secret services' ever increasing attention. The Uzbek authorities began tightening their grip over private transactions several years ago.